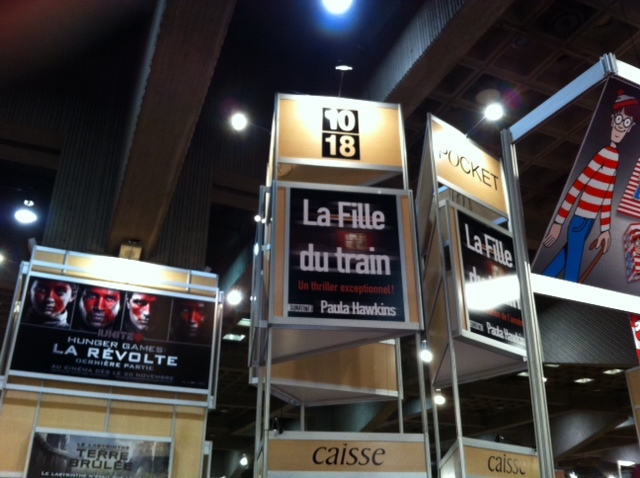 Monday, le Salon du livre in Montreal closed its doors on its 38th edition. Authors, readers, teachers and journalists were once again present to celebrate books, meet and greet, discover and escape to other worlds. I was sent to see the Salon and was absolutely delighted to go. I am, like most of you, a reader, someone who wouldn’t trade a book for a virtual version, and who loves to discover new stories, new territories, new lives. I just love to escape into another world, follow a character’s path in darkness or in light, and have a laugh with a good comic like Asterix and Obelix. Yes, I love books, and have for a long time. Le Salon du Livre has always been special for me. It’s actually a childhood memory. My own mother (a teacher) took me to the Salon in Paris every year. I remember meeting my favorite authors, reading for hours, and searching for the new books I was going to take home. It was so much fun. Plus, it was a nice bonding moment with my mother. What can be more awesome than a fun activity that is actually an educative one! The Salon is so special in my heart that I jumped on the occasion to cover the one in Montreal, and honestly : I HAD A BLAST. The thing you should now about Le Salon du Livre is that it is big. Huge, more like it. There are so many things to see and do that you cannot really go there for an hour. It’s more likely that you will be there for around four. Activities are planned throughout the day in various sections of the Salon like Q & As, exhibitions, or book signings with authors. All of the information was available on the website (in the visitor’s section) to help you plan your visit. Personally, I think it’s best to plan ahead. I mean, there are so many things to see and do that it can be overwhelming without some plan. If you don’t want to miss your favorite author or an activity that really interest you it’s a must do. And if you are going with kids just remember that they can find the time a little long. Planning will prevent a minor crisis and ensure a nice family moment, a moment to bond, discover, rest sometimes, and connect over a story. 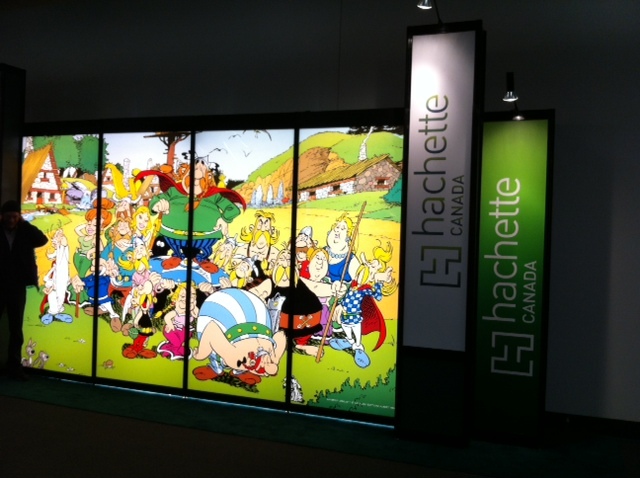 The cool thing about Le Salon du Livre is that it is truly for everyone. Teenagers, parents, teachers, sisters, friends, adults or children can all find the thing they like and have a special moment. There is a book for everyone. And Le Salon is the perfect place to find it. As for me, I loved my time there. It was nice to discover Publishing/Edition Houses I did not know about, like Les Editions de l’homme for example. They have books on anatomy, medecine and psychology that are incredibely interesting. I suggest everyone to check these publishers out. It was awsome to see the new books presented by Gallimard, and quite magical to check out the children’s books at L’Ecole des Loisirs. As for the activities I loved the Q & As with Larry Tremblay, the activity with Monique Proulx and her choices of books, or the Agatha Christie focus. It was all very well done and so very interesting. 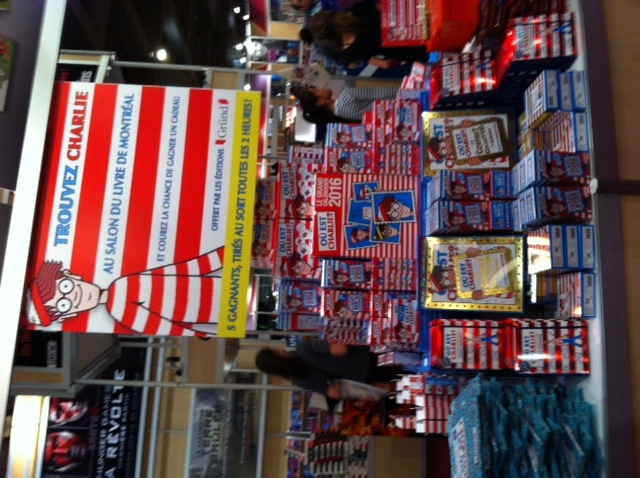 I definitely suggest the Salon du Livre to all of you next year. It’s a nice space to discover, re-discover, enjoy, have fun and meet the authors of your favorite stories. Whether you go with your family or a friend, for your children or your class, you will have a great time. You can even stop to read because there are actually sections to do so in the Salon. Pretty awesome right? Finally, I’d like to suggest one thing to families and parents. If you are looking for the perfect books for your children, you might find them at L’Ecole des Loisirs. I spent my entire childhood reading their books, and I was never unhappy with the ones I chose. They have so many incredible authors. For the youngest ones, their books have cute stories about bedtime, fears, and monsters under the bed. And, they are always well drawn. For those who are a little older check out Anne Fine or Marie Desplechin. They both have written wonderful children books that are perfect to escape into and have a laugh. “Verte” by Marie Desplechin is an absolute must read for me. You will also find classics like Roald Dahl, or revisited and lighter version of Victor Hugo and other grand authors. “Les Misérables” is now in an easy-to-read format for pre-teenagers and I love the idea of making the classics accessible to all. I definitely feel like l’Ecole des Loisirs is the ideal publisher for kids and teens, and I suggest you stop there if you visit the Salon next year. As for me, I went home with a BD, and another one which I am reading right now. I am delighted. The Salon scored once again. My inner reader was unleashed. When will you unleash yours? Ahhhhh. See you next year! How Many Cosplayers Can You Identify at Otakuthon?